Salad days! 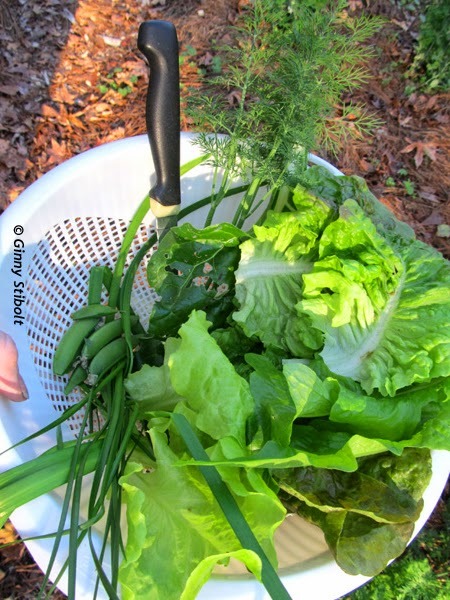 From the knife clockwise: dill, chard, 3 types of leaf lettuces, garlic chives, meadow garlic, & sugar snap peas. Not shown are Greek oregano and rosemary. 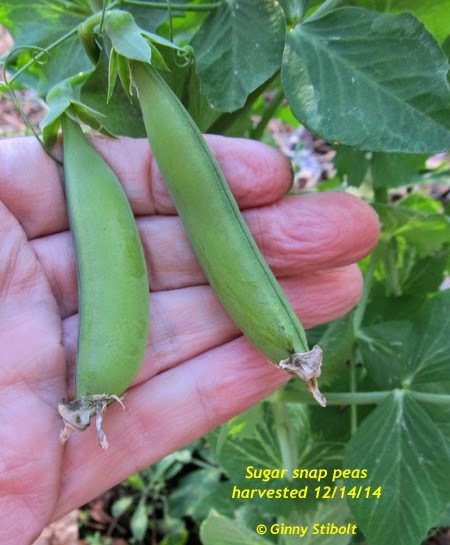 The sugar snap pea, a hybrid of a snow pea and a shell pea, was introduced in the 1970s. 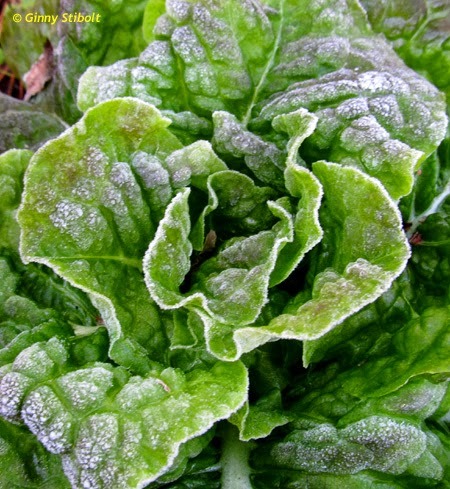 They've become quite popular because they’re easy to grow, have a sweet taste, and are versatile in the kitchen. in your landscape. The bonus is that these seedlings are edible. There are many ways to be more efficient in your gardening and maintenance and still have a beautiful landscape. You'll still have issues to deal with like a beggartick attack as shown in this photo, but how you deal with them makes all the difference. I boiled all these methods down into just 6 steps for my post over on the Native Plants and Wildlife Gardens blog: 6 easy ways to save time & money in your landscape. 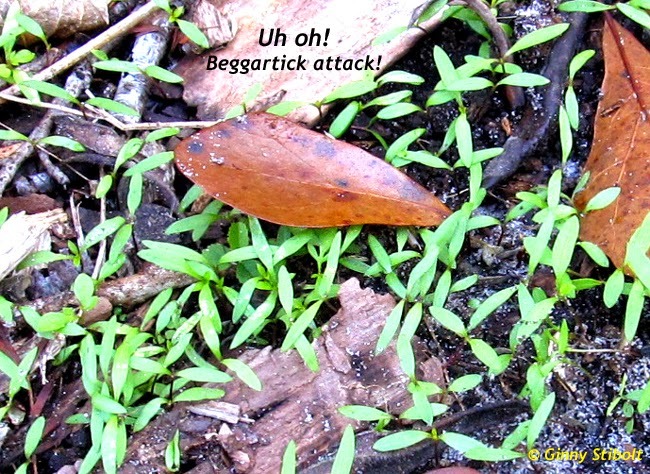 My treatment for the beggartick seedlings is to gently uproot the seedlings by rubbing the surface of the soil with my gloved hand and then cover with mulch, usually leaves or chipped wood. This minimizes the soil disturbance, which would bring out a bunch of other seedlings and discourages others from taking root there. It also uses natural mulches that are free. One of the 6 topics is to urge people to switch over to freedom lawns and only for lawn that they'll actually use. Our lawn has been free of pesticides,fertilizer, and overwatering for 10 years. Most of the time it is just as green as our neighbors' expensive and high maintenance lawns. 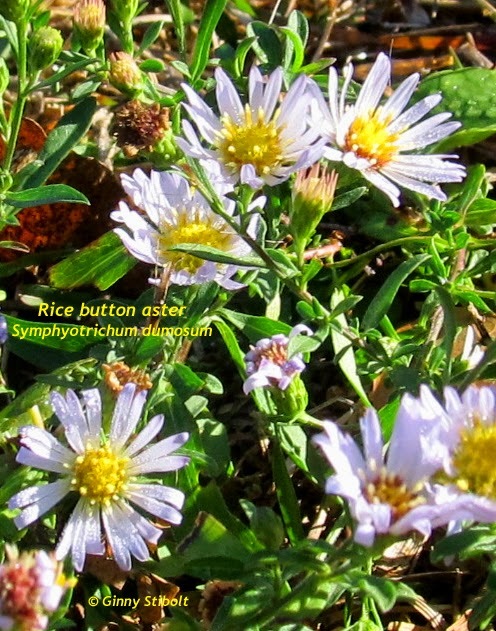 In some place the St. Augustine grass is doing very well with our regimen, but in other places a variety of different plants has grown in as you can see here in these lawn aster photos. I just turned in the final edits for my 3rd book "The Art of Maintaining a Florida Native Landscape," which will be published in August. Yay! It continues the theme of sustainable gardening, but this time I cover the reality of living with native or mostly native landscapes. It has been fun and educational to write and I hope you'll like it. A freedom lawn supports many different species. 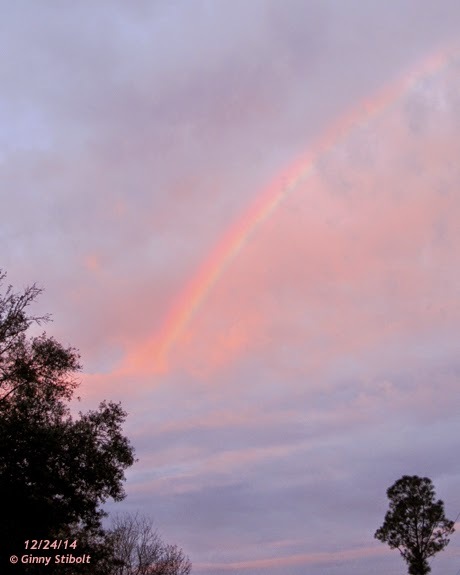 Christmas Eve sunrise included a gift of a full arching rainbow. May you have a wonderful 2015.